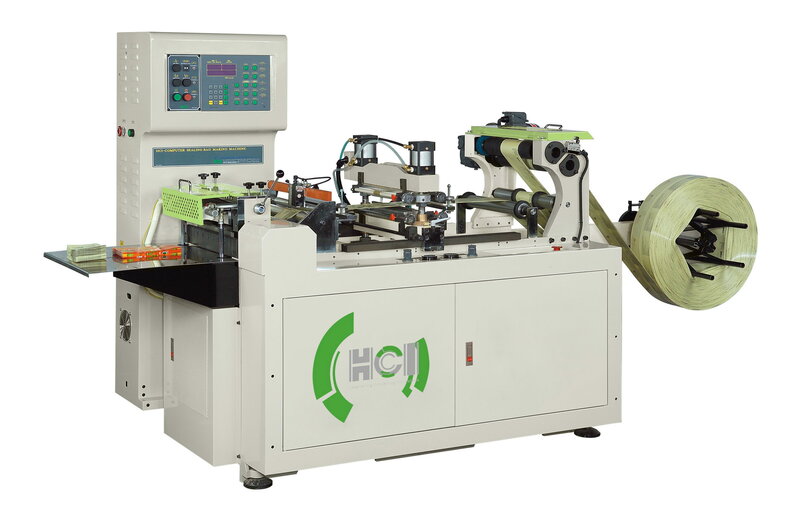 Sealing and Cutting Machine - One Step(FSC-301 / FSC-501) - HCI Converting Equipment Co., Ltd. The machine is ideal for the bottom sealing and cutting operation of poly bags. For PVC shrink labels, paper and various plastic sheet cutting. Replaceable unwind shaft is suited for five-claw coreless and 3" paper core. The AC motor driven unwind dancing roller unit for auto speed varied and assures that the most stable web feeding even under high speed operation. One-step bottom sealer designed, both upper and lower sealing embossing plates assures the sealing quality. Skip seal function: the bag’s length can reach to 9 times of feeding. Equipped with microprocessor PID temperature controllers which can provide the most accurate and fastest heating performance. The cutting length is accurately controlled by servo motor incorporated with photocell sensor for greatly upgrading the production speed. Auto-stop function for photocell ineffective.